* Contact Tai Ma on 0434 226 030 for further details! Only 15km from the Brisbane CBD Runcorn is a popular suburb with young and established families and is serviced by Runcorn Primary and High Schools and Griffith University. Sunnybank Hills and Sunnybank Shopping Centres house all major retailers and cinema complexes. The 2001 Census indicated there were 12,347 people living in the suburb with a median age of 29 many of whom work in the industrial areas nearby of Acacia Ridge, Archerfield and Rocklea. 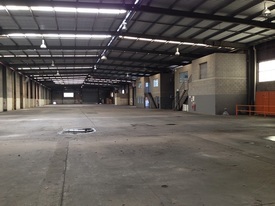 Abundance of natural ligh.. Price: $1036pw | 13 Person Works..
Cheap Parking | Spacious .. Price: $1553pw | 15 Person Works..
- 3 available retail/medical office space tenancies in a brand new shopping centre in Drewvale - Situated on the corner of Beaudesert Road and Illaweena Street, providing easy access to Logan Motorway via Beaudeser Road - 19.3km* to Brisbane CBD, 1.